I've always been a fan of ravens, both in art and in person! They have rather quirky and mysterious personalities, and they are intensely brainy. 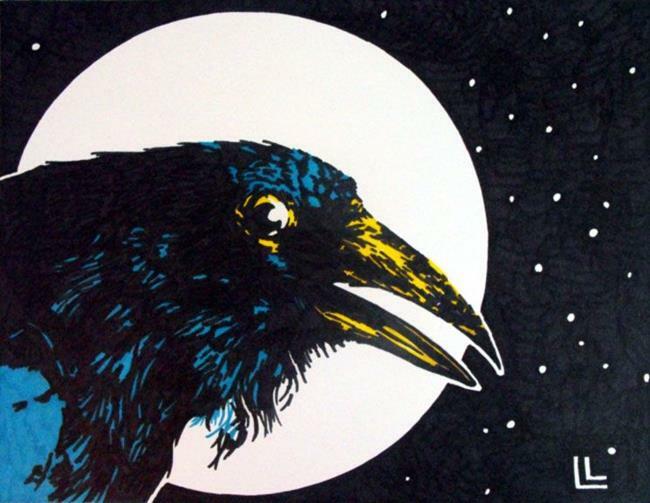 I decided to honor the raven in this piece, created specifically for November 2013 Sharpie exhibit here at EBSQ.